18 Million Rising's translation mapping app addresses AAPI language access at the polls. It's no secret that Asian Americans and Pacific Islanders are terribly underrepresented at the polls. Why don't we vote? Well, one of the major obstacles to voting in our community is language. AAPIs are three times more likely to cite language barrier as a reason for not voting than Latinos. That's why our friends at 18 Million Rising have been hard at work on an awesome, ambitious project called VoterVOX, a new solution to address the problem of language access at the polls for AAPI voters. 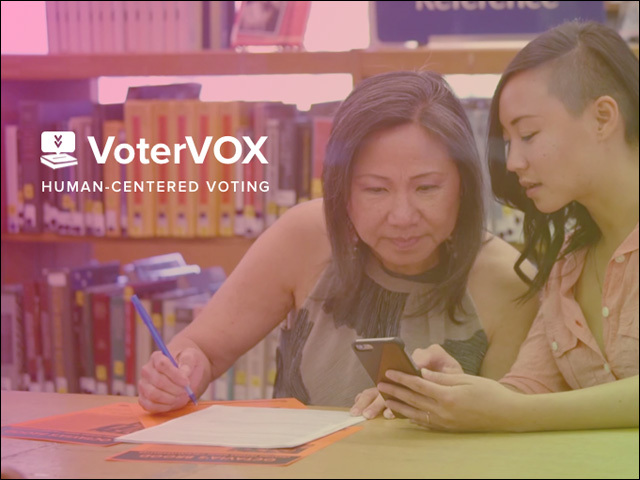 VoterVOX is a translation mapping app that connects multilingual AAPI volunteers with limited English speakers so that every eligible voter gets access to a ballot and voting information in their language. It's described as "1 part civic tech, 1 part grassroots organizing, and 3 parts cultural connection." They're currently crowdfunding the project, and with the community's help -- that means you and me! -- they launch VoterVOX in time for the 2016 Presidential election. Let’s say you’re fluent in English and Vietnamese, and you value the wisdom elders share with you. You get the VoterVOX app and it connects you to a person that local community partners identify as needing assistance. You meet them at a library to help translate their ballot and hear stories. You say goodbye to your new friend, and they send their mail-in ballot themselves (because that is the law). Democracy! In grassroots organizing, one-to-one connections like these are the building block of strong, healthy communities. 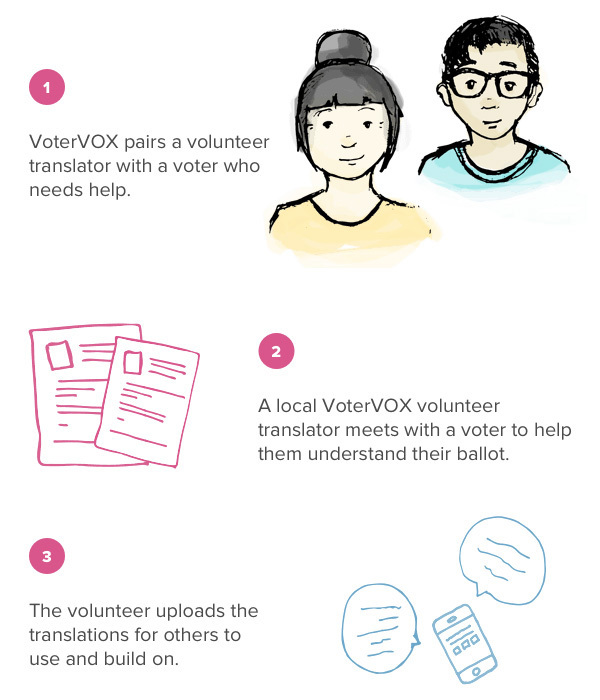 And by uploading your ballot translation and jargon clarification, VoterVOX makes the effort that much easier for the next volunteer. Their current funding goal for VoterVOX is $50,000, which will go towards building a basic version of the app to test this November, and ultimately roll out for full-fledged use in the 2016 primary season. Because democracy should be accessible in every language. Be a partner with 18 Million Rising to make sure every voter has voice. For further information about VoterVOX and to make a donation to this super-important project (and get some cool perks!) head over to Indiegogo.